Athri Aid, a nutritional supplement that helps maintain good mobility. 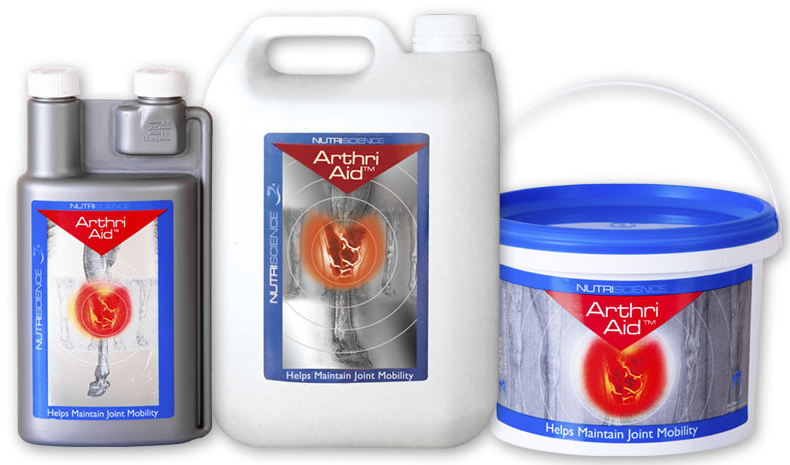 Arthrid Aid lubricates and promotes the renewal of the horse's important cushioning tissues in the joints. Over time, the horse can have reduced mobility and swelling in the joints. The product fits into everyday life when cartilage is constantly broken down and new cartilage is made. However, this balance may decrease during extended training, competitions or aging. Many horses need help with cartilage renewal and reduce the risk of further deterioration. The dietary supplement can also help the body's natural repair of joint damage, to build up cartilage naturally in order for the horse to get increased aid and maintain its flexibility. The product is cost effective to promote long-term health in horses and ponies. Glucosamine HCL, Chondroitin Sulphate, MSM, Vitamin C, Manganese Sulphate, Sodium Hyaluronate. Glucosamine 10g, Chondrotin 100mg, MSM 200gms, Hyaluronic acid (HA) 5mg, Manganese Sulphate 100mg, Vitamin C 700mg. Feed 50ml per day for the first 14-21 days. The level can then be adjusted to the horse's individual needs. Feeding recommendations for a 500kg Horse is 10g per day. If using for the first time give 20g for 10-15 days. While visible results are seen within 10-14 days, long term use is recommended, particularly in the case of older horses. There are currently no questions for Swedencare ArthriAid for Horses - be the first to ask one!